Christmas means a particular atmosphere and colors - mostly red & green, and a scent comprising pine, amber, cinnamon and a touch of cotton candy. 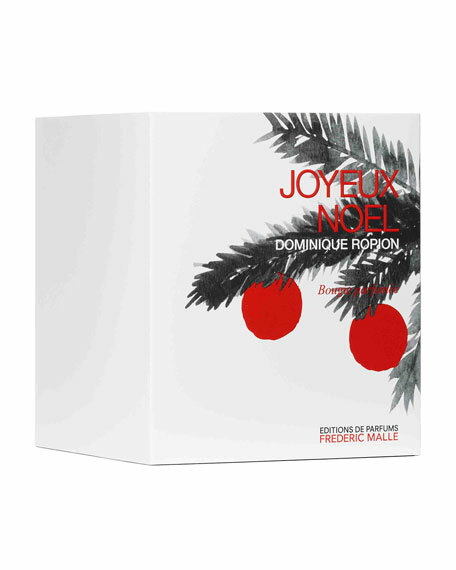 A few years ago, Dominique Ropion made an olfactory sketch of this unique December scent. Himself and Frédéric Malle decided to "polish" it to make it even more comfortable and diffusive, to adapt it to the very specific requirements of a scented candle. This creation is called "Joyeux Noël" and will be available for a limited time only. Our unique candle recipes are composed of vegetal and tallow waxes. 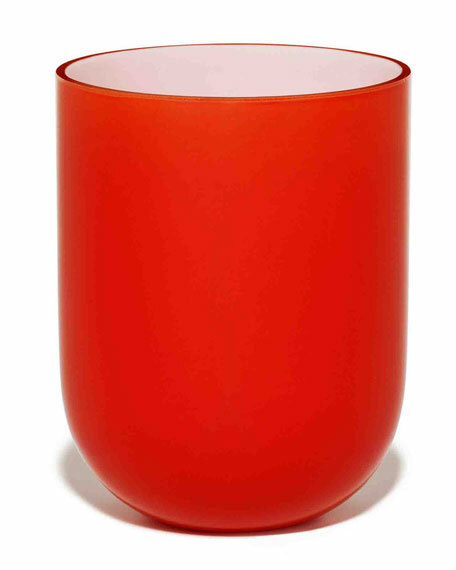 Presented in hand-blown glass jars in our signature red, these candles are 100% handmade. Product Information: Burn time 60 Hours. Do not burn longer than two hours or unattended. Allow to solidify before relighting. Should black smoke appear, trim the wick. It should be clean and no longer than 1/4" (6 mm). Do not burn down to the bottom, or on or near anything that can catch fire. Keep out of reach of children and pets. For in-store inquiries, use sku #2079787.